Magic Carpet Cleaning is trusted partner for people living in Mortlake SW14 seeking a high quality carpet and rug cleaning services at affordable price for their homes, offices and stores. Our expert carpet cleaners in Mortlake SW14 are fully trained and certified so you have a guarantee for quality.Ask for our special offers at 0208 861 0979 now! Our employees are trained and pass special courses. They have certificates which prove their professional skills in cleansing. Our ultimate aim is to meet your expectations so we always try to be in line with the newest standards in professional cleaning and we do not hesitate to apply them in practice. You receive a 100% guarantee for quality even with the removal of old spots. We in Magic Carpet Cleaning want to keep the health of your family and loved ones, so we use only harmless green chemicals that are safe for you and the environment. We do not use hidden conditions and fees. Just take a look at our customer testimonials! Our employees work while they cover your individual requirements. Our helpful assistants will answer all your queries 24/7. You keep cleaning your home but you can still feel the dust deep in your carpet? And that old coffee stain on the couch became a permanent resident of your house? If this is the case, we have a solution for you and it is called Hot Water Extraction. The carpet steam treatment approach is preferred by households because it cleans your textile floor, upholstery or walls in depth removing all the dirt and stains. This treatment uses hot water and washing agents injected in the polluted carpet under high temperature. Then, they are sucked out together with all impurities. The high temperature kills all the germs present in the carpet which means that the main cause of allergies is defeated. You own a big store and you want to have it cleaned but you can’t afford to close it? 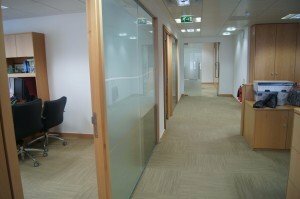 You want to have your office cleaned fast and efficiently before the important visitors arrive? Then, the Dry Carpet Cleaning is just for you. The dry compound cleaning method uses powdery substances that are being rubbed into the rug and are then sucked out with vacuum. This method does not use water, allowing your customers and visitors not to wait until the treated fabrics are dried. The 98% biodegradable substances we use protect the environment and you. Dry Carpet Treatment prevents mold and preserves delicate materials. We can completely remove soil and blemishes from your residence and office spaces working with due attention to your property. Our trained specialists work with both natural and synthetic fibers and can remove spots with various origin – old coffee stains, traces of pet urine, wine, food, chewing gum, chocolate, etc. Call 0208 861 0979 and see for yourselves! 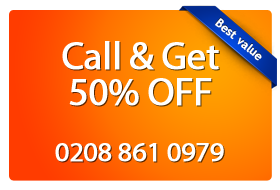 If your home, office or shop is located in Mortlake SW14, call Magic Carpet Cleaning to solve your problems! Get a free estimation at and let us help you! Dirt does not have a chance with us!